Community and cultural events open up opportunities to minister to the Hispanic/Latino community outside the church walls. 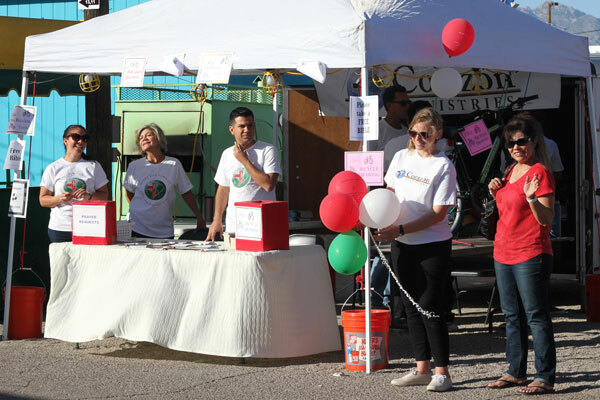 Corazón connects with Christians from around Tucson to participate in cultural environments and establish relationships in order to reach people for Christ. Corazón Ministries train and equip believers to be culturally sensitive as they interact with people at these events. Inform people about Corazón Ministries Bible Studies. Follow up and connect with people. Promote cultural events for Christian churches and ministries. Provide Corazón Ministries volunteers to assist at cultural events. Create Spanish and bilingual multimedia. Translate outreach and evangelism materials for the Spanish-Speaking community.